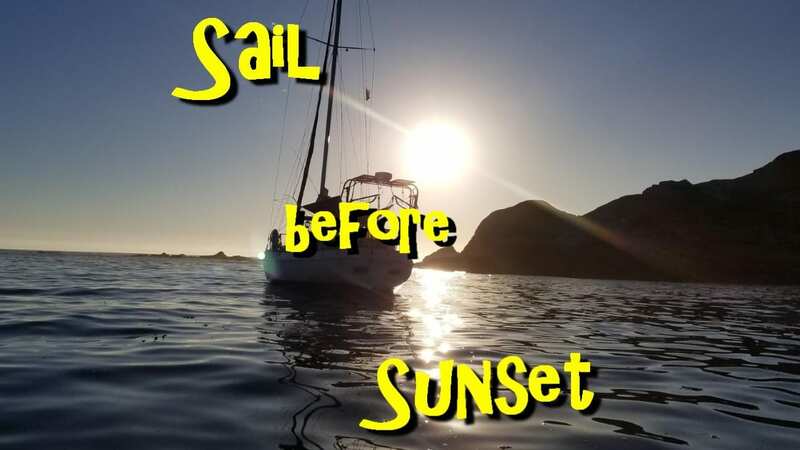 Why are you leaving on your sailboat? We were looking for a way to simplify our lives for when we retire. After the crash of 2007-2008, we quickly discovered that our retirement funds were no longer going to support us. We really did not want to work into our 70’s, so we had to think of an alternate way of living that we could support ourselves with. We looked into the R/V life, but the cost of fuel would prohibit the exploring that we wanted to do. Besides, the R/V community can be a bit rough around the edges at times. How will you support yourself while sailing? We have a few things up our sleeves. First of all, the Captain will take early retirement and have his Social Security in a few years. Secondly, we will be writing about our adventures and the anchorages we stay at. We also have a YouTube channel, as well as a Patreon page. We will start accepting donations on the Patreon page when we leave. Why did you choose the Morgan OI? Well, the boat kinda chose us. We were sailing back from Catalina Island a few years ago when we made the decision to look for a different sailboat. Our Columbia 36 had served us well, but after rounding the top of Catalina, while sailing from the backside, First Mate wanted to take the helm. The wind picked up a bit and we nearly rounded up before I could spill some of the wind. Rounding up is no fun, and it scared the First Mate. She asked me why it happened, and I explained it to her. She then asked what we could do to prevent it from happening ever again, and after much discussion, we decided that a heavier, full-keel boat was in our future. After looking around at our options, and considering how much we had left in our retirement accounts, we started seriously looking for our next boat. A friend at our marina just happened to know of a sailboat for sale, and at a really fair price. It turned out that a lifelong friend of his had passed away and his widow was selling their liveaboard boat. We made an appointment to have a look, made an offer, and the rest is history. The Morgan was everything we were looking for. 40 feet or longer, center cockpit, heavy, full-keeled, and really roomy. It was the perfect boat for us!